Mark March 23rd in your diary for a perfect day in the park listening to awesome music. Community radio station RTRFM’s annual Neon Picnic will see a diverse range of musicians take to the stage for a family friendly event. 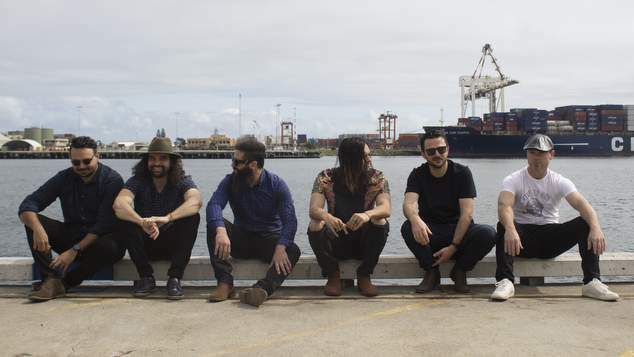 On the bill is Jere Sosa, with his relaxed Argentinian grooves, the indie pop magic of The Struggling Kings (pictured) and local music troubadour Michael Savage. The chilled out party will continue with Perth’s finest saxophone quartet Meraki, the out of this world sounds of Fourth State and the straight reggae jams of Zarm. Neon Picnic, the pre-cursor to RTRFM’s much loved In The Pines music festival is now the stations annual family friendly get together during a lovely summer’s last days at the Hyde Park Amphitheatre. Stretching from 11am through to 7pm the event is broadcast live and features the station’s popular Saturday line-up of shows including Global Rhythm Pot, Homegrown, Drastic on Plastic and Jamdown Vershun. It’s a family friendly event and there will be some special arts and crafts activities from the team at Spaced Out, face painting from Lauren Salt, hula hooping and fun times. Plus there’s heaps of food and drink options to with a licensed bar thanks to Feral Brewing and Skigh Wines or grab a bite from Satchmo Café, The Tapi Truck and Summer 1954, or grab a coffee and ice-cream from Grey Means Well and The Milky Monster. Entry is free, you can come and go all day long, children are welcome, dogs are welcome. Neon Picnic is from 11am – 7pm on Saturday 23rd March in Hyde Park. Find out all the details at RTRFM. Source: Media Release. Declaration OUTinPerth owners Graeme Watson and Leigh Andrew Hill are presenters at RTRFM.